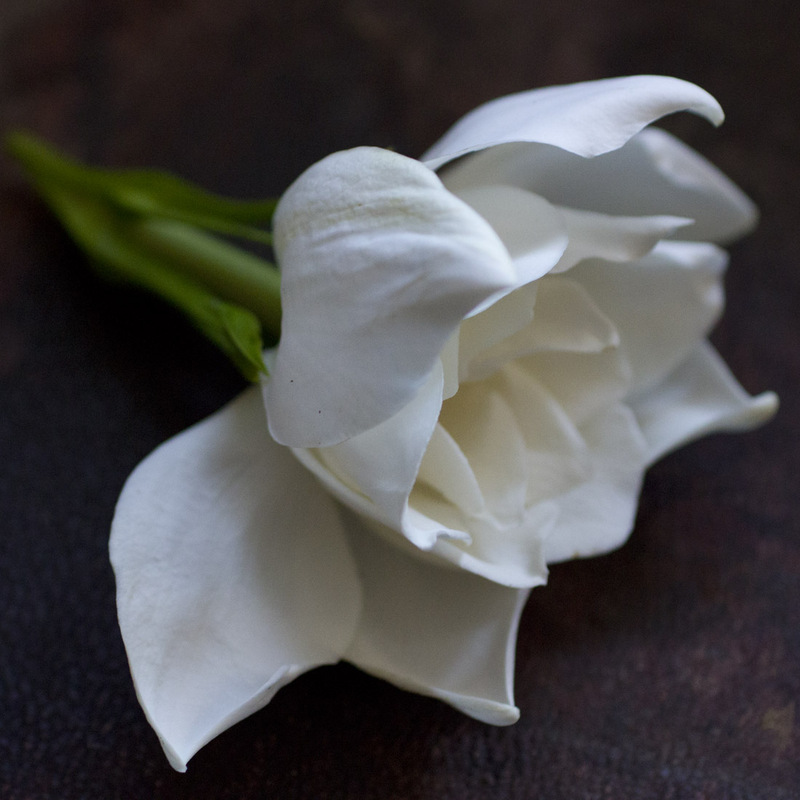 The white flower season begins here in the garden of pure fumes with gardenia, then gradually overlaps with jasmine sambac which overlaps with plumeria. 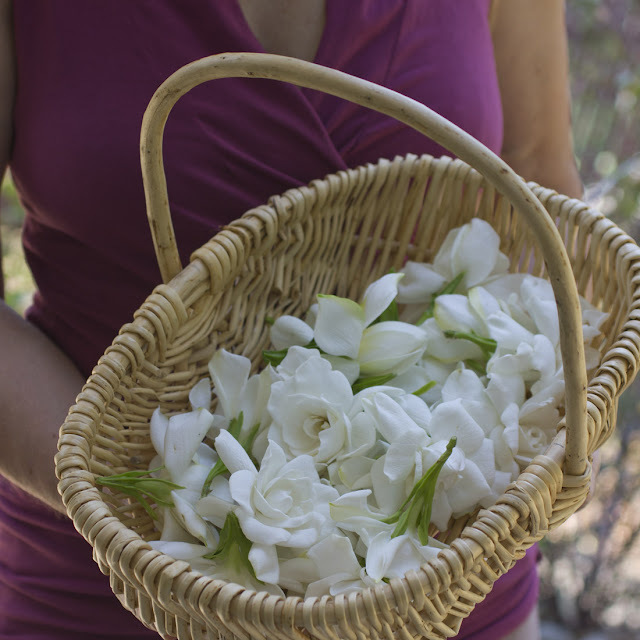 I was lucky to get extra gardenias from my mothers plant which is much larger and more abundant than mine. 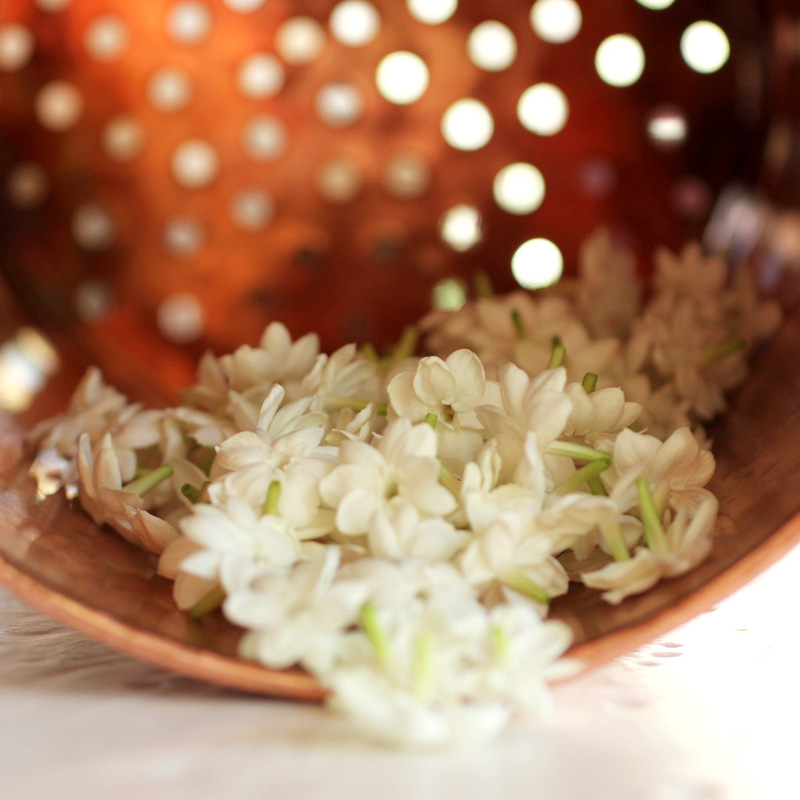 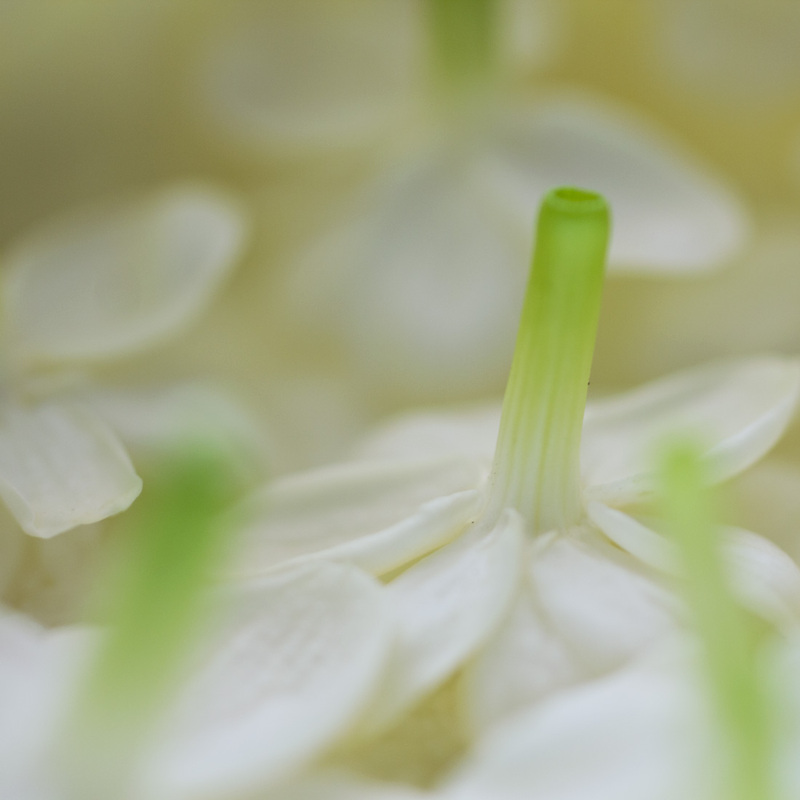 The gardenias are now done but we are in the thick of jasmine sambac bloom time just as the plumerias are starting up. 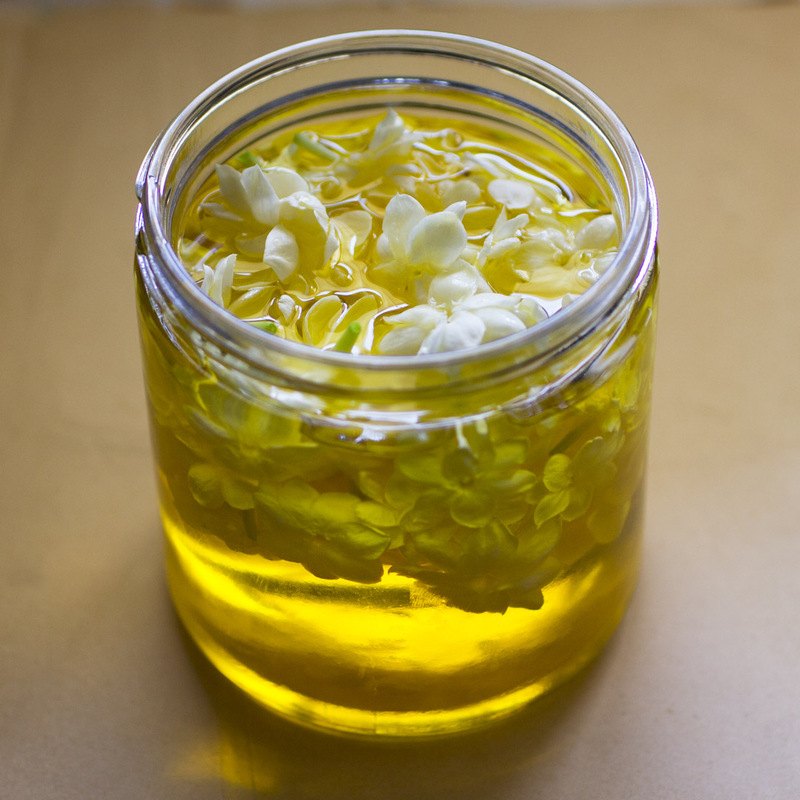 Currently I have lots of different potions brewing, but the most amazing is a toss up between the gardenia enfleurage and the jasmine enfleurage which was layered over a violet enfleurage.